Why the scientific method can not provide an explanation for the origin of the universe. The opening chapter of the bible reveals the true origin of the universe and is consistent with the observations of the physical universe. Relevance of an experiment on the ISS (international space station) is discussed. Origin of the Genesis “first light” is revealed by scripture. 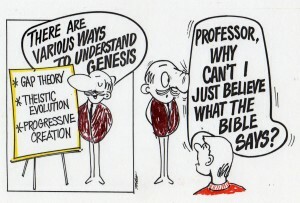 Why the “Gap Theory” is totally unscriptural and unnecessary.